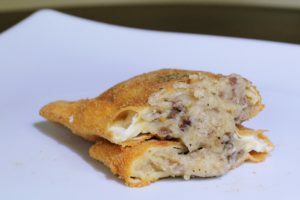 If you are from or have been to Dumaguete, I am sure you are familiar with the best-selling pocket pies of Massive Munchies. The famous store started their operations in Dumaguete in 2014 with three branches to its name and now it has opened in Manila last Feb 18th, 2017. It was the brainchild of Mr. Dexter Bautista and Mr. Tad Angara. Mr. Angara is in charge of the operations while Mr. Bautista takes care of marketing. Here in Manila, Massive Munchies offers the flavors: Cheesy Pepperoni, Tuna Lasagna, Beef & Mushroom and Cheesy Taco. You don't need to spend much: P39 for the regular size and P59 for the king size. 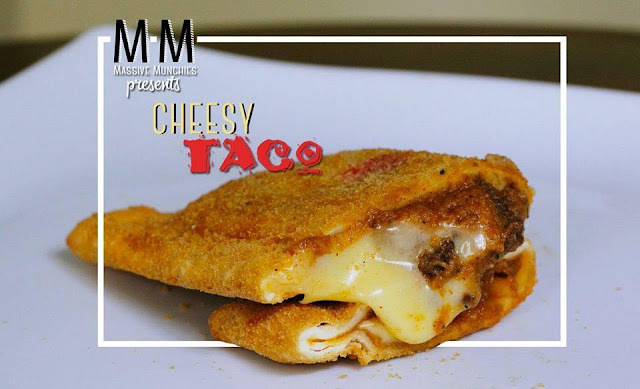 My first Massive Munchies pocket pie is the Cheesy Taco. Cheese and Taco: two of my favorite things. 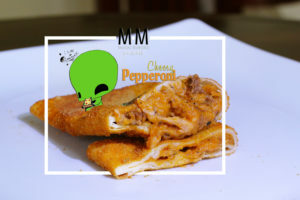 For the pizza lover, the cheesy pepperoni should suit your taste. Who doesn't love pizza, anyways? 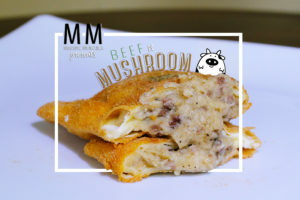 The Beef and Mushroom variant contains mushroom sauce with tender slices of beef. Health conscious individuals are welcome to try the Tuna Lasagna flavor. Munch away without the guilt. Their flagship store offers more variants and I can't wait for them to offer it here. Imagine sinking your teeth in these: Cheesy Sisig, Chicken Inasal & Cheesy Hungarian. For the sweet tooth: Chocolate Fudge, Mango Bango, Apple pie & Banana Caramel. Also in the list are fusion snacks, hotdog sandwiches and drinks. What's my verdict: It's two thumbs up! The price is acceptable and the flavor is overwhelming. All variants are absolutely dee-licious and my personal favorite is the Cheesy taco. Prolly because it's the first one I tasted. Oh, and it's filling too. I bet you can't finish two king size pocket pies! These babies are massive and they are absolutely great to munch, at least I think that's how they named it. Massive Munchies is located at #986 Fr. Hidalgo St., Quiapo, Manila near Manuel L. Quezon University. Open daily from 8 AM-11 PM.